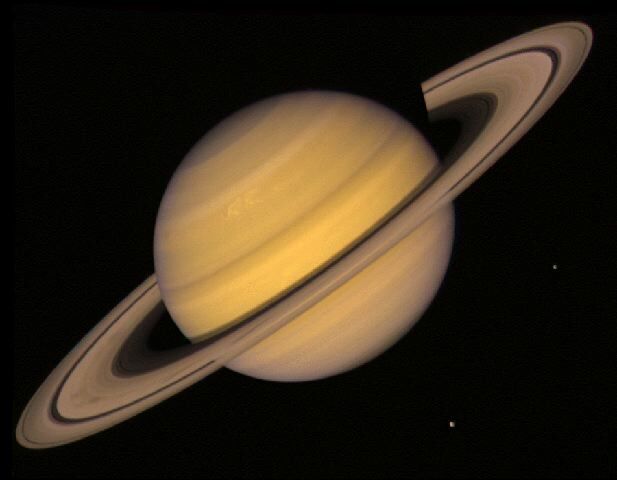 Saturn has moved into Sagittarius, can you feel it? Happy 2015,everyone. I don’t really think of this as the “new year” astrologically, but it is now 2015 instead of 2014 and some things are shifting for sure! First of all, apologies for my tardiness in posting the January Horoscopes. This was my first time being late and I am going to do everything in my power to make sure it’s the last. You can now view your January horoscopes here. Today (January 4) is the Full Moon in the sign of Cancer. Cancer is a water sign that rules emotion, intuition, nurturing and creating a secure base of operations. The Full Moon generally elevates all of our emotions and in a sign like Cancer, we could be extra sensitive. Take care with yourself and others! It’s a great time to get in touch with your feelings and listen to your gut. If you haven’t been taking care of yourself, it can become apparent now and you’ll be able to see where you need to make improvements. Issues of balancing home and family life with career can come to light. The other big news this month is that Mercury will be going retrograde on January 21 (lasting through February 11). There’s nothing to fear with Mercury retrograde, despite some of the paranoia that’s out there. But it is important to pay attention to what the energy will be supporting. Mercury retrograde is a time to deal with the past. I love this time period because I always have unfinished projects hanging over my head (Aries Sun, anyone?). I get a lot of clean up and wrap up done during Mercury retrograde cycles. I was also born with Mercury in retrograde so maybe that helps. But even if you weren’t born during Merc retro, you can use this time period productively. It’s great for making revisions, reconnecting with people, remodeling, refinancing and writing projects. Why writing? because most writing comes from experience, which is in our past. Later this month, we’ll be called to turn inward and sift through our past experiences. This can lead to revelation, and if you’re into words, some good writing. Although Mercury is officially turning retrograde January 21, we have what’s called a “shadow period,” where the effects may start to be felt. The shadow is defined differently from astrologer to astrologer, but I tend to notice it about two weeks on either side. Therefore, Wednesday, January 7 begins what I’d call the “pre-shadow” to our upcoming Mercury Retrograde cycle. Experiment for yourself and see if you notice things slowing down or experience any communication breakdowns after the 7th. I thought I’d also just touch on Saturn’s sign change into Sagittarius at the end of last month. Of all the planets, sometimes I think people feel Saturn the most obviously. And many people have relayed to me that the years 2012-2014 were difficult years. I certainly concur! Now, Saturn can’t be blamed for all of this, but Saturn was in the sign of Scorpio during 2012-2014 and its effect brought about circumstances that made people look at their sh**t. Pardon my language, but that’s the best way to put it. All the stinky stuff you don’t want to deal with had a strong likelihood of surfacing during 2012-2014 in order to be addressed. Saturn in the sign of Scorpio was using its energy to help us face our fears, our flaws and our feelings. Although these years may have felt particularly difficult, we should thank Saturn for helping us to work through some of this to become stronger and know ourselves better. Now, we’ll experience Saturn in the sign of Sagittarius. Sagittarius is the optimist, the gypsy, the teacher and the freedom loving soul. A very different energy than Saturn in Scorpio. There will be less putting ourselves and others under the microscope and more looking at the big picture. Got some big dreams that require taking a risk? Great, Saturn in Sagittarius will hold you to it! The coming years could be scary, but in a more exciting way than 2012-2014. If you have a fear of success, this could be a good time for you to break through and take some risks to achieve what you want. Your faith in the Universe or a higher power could be tested and the best way to prove you want what you really want will be to keep working at it. Even if you can’t see what the next year, month or even week will bring, your test will be to keep focused on your vision and sticking to your plan. Now, this summer, Saturn will take a dip back into Scorpio and I’ll address that more when the time comes. But the main thing to remember is don’t freak out if you see recurring themes from 2012-2014. This is a final wrap up period, designed to give some closure. After a few months (mid June to mid September, 2015), we’ll be able to resume our motivational Saturn in Sagittarius programming. Happy 2015 to all and let’s use the next few months to gear up for the REAL new year — the Spring Equinox on March 20!